BART is soon slated to begin service in San Jose, but that impending reality isn't sitting well with some neighbors worried about increased traffic on city streets. Neighbors next to the soon-to-be-opened Berryessa Station say the lack of on- or off-ramps from the Taylor Street overpass to Highway 101 near the station will clog their neighborhood's with commuter cars. “All that traffic is going to be routed onto residental streets and really degrade the quality of life for our neighborhoods," Steve Ferdin, a retired San Jose police officer who organized traffic control when the Taylor Street bridge was being built in 1990s, said. "Traffic is pretty heavy now without the BART station." The Santa Clara Valley Transportation Authority conducted a traffic feasibility study in the area and determined that traffic ramps were not needed in the area around the station. “We do an extensive analysis on these kinds of projects in addition to getting input from the community, and what was shown was that there would not be an impact enough to be able to to put in a ramp on the highway," VTA spokeperson Stacey Hendler Ross said. 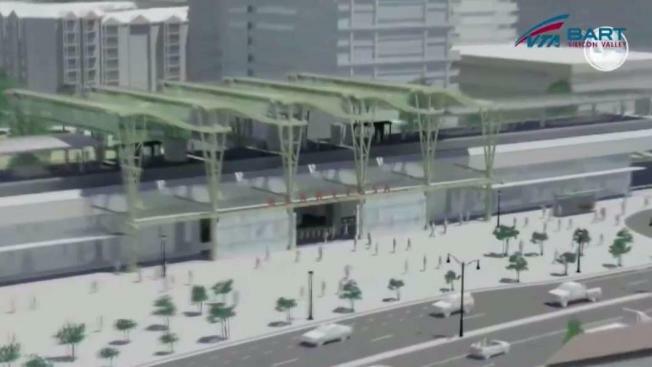 The study also found that BART commuters would likely come from the south and east sides of the station. Roads and bus lanes in those areas are being improved and expanded, according to VTA. For years, San Jose city officials have been examining the prospect of constructing traffic ramps for the Taylor Street bridge, but money issues have squandered any construction. With no ramps coming anytime soon, Ferdin remains concerned. "I just can't imagine what it's going to be like once the BART station's open for business," he said.